This gorgeous necklace is sweet and dainty, but still stands out. 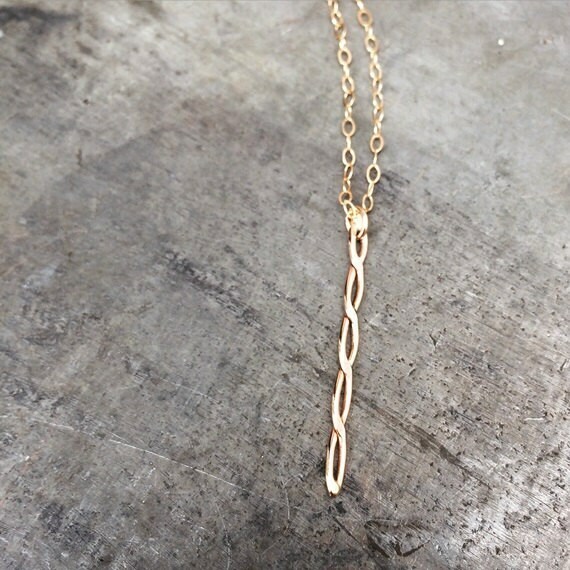 The infinity bar is handmade and soldered using 14k gold filled wire and hangs from a lovely 14k gold filled cable chain. Please choose your chain length using the drop box option to the right. Let me know if you would like to upgrade to a 14k solid gold chain, and I will set up a special listing for your custom order. 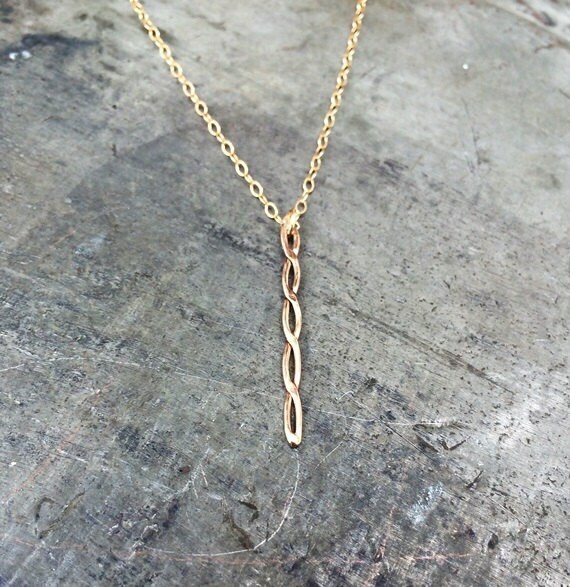 *This necklace is also available with a horizontal bar. Please see shop page for more.